NSE/BSE Free Dividend/Stock Split/Bonus Alerts - Subscribe today! Many investors select stocks for investment by looking at their dividend history; a steady dividend history means steady tax free income for the investors. Dividends are announced by the company's board of directors and published on stock exchanges where the stock is listed. Dividends are declared for multiple reasons; some companies announce dividend to share their profit with the shareholders while some to attract more investors. 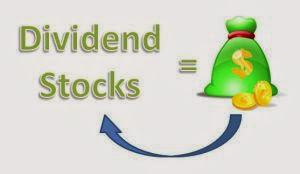 Dividend history of a company can be found in NSE and BSE websites but most of the time investors come to know about dividend announcements only when they receive email from the company on the dividend payout. Normally the share value fluctuates highly once the dividend is announced, some traders buy the share only for the benefit of dividend, which is tax free, sells them on the date of record. It is important to know when a company is announcing dividend, what is the dividend per share, when is the ex-dividend date, when is the record date etc. before taking any decision. Texient.com is providing dividend alerts free of cost to our readers, just subscribe to our alert service and receive these details whenever new dividends are declared. The alert includes not only dividend details but also special dividends, stock split, bonus and share buy back announcements. Declaration date - Date on which the dividend is announced. Ex-date - Stocks bought on or after this date are not considered for dividend. Date of record - Your stocks should be available on company records on this date to be eligible for dividend. Date of payment - Date on which company pay the dividend.